Evidently, the popular activities that people do in Queen Elizabeth national park and Murchison Falls Park is game drive and boat cruise. Those two activities are done at intervals. Tourist love both activities has each of them has its excitement levels. Now there is a lot more ways to enjoy both parks by finding other activities to do. Among the prominent is the hot air balloon. The hot air balloon is must-activity these days if you have some extra cash to spend on the safari. Hot air balloon as of now is only done at two national parks in Uganda –Queen Elizabeth national park and Murchison falls park. Hot air balloon in Queen Elizabeth national park. In Queen Elizabeth national park, the hot air balloon safari is operated by Balloons tours Uganda. The only company so far which has been given such a license by the Uganda Aviation authority to fly balloons in Queen Elizabeth national park. The company has a well trained staff that has experience of over 10 years flying balloons. Currently, only one balloon is in operation which carries 16 passengers. Plans are under the way to source the second one that shall accommodate 24 passengers. The flight lasts for 1 hour. The balloon flight takes off before dawn and by sunrise you are almost done gazing the wildlife and beautiful nature. The most surprising thing is even after the flight, you are taken care of- there is a bush breakfast for you prepared by one of the best lodges in Queen Elizabeth national park, Mweya safari lodge. The pick-up time is 05.30 am at Kasenyi gate. Hot air balloon in Murchison falls national park. Murchison falls national park as we know it is one of the best national parks in Uganda. The park houses different wildlife: Buffalos, Giraffe, Antelope, Lions, Leopards, and others. Now imagine flying just above the park while maintaining that clear view of those animals on land. That is some experience that everyone needs enjoy. 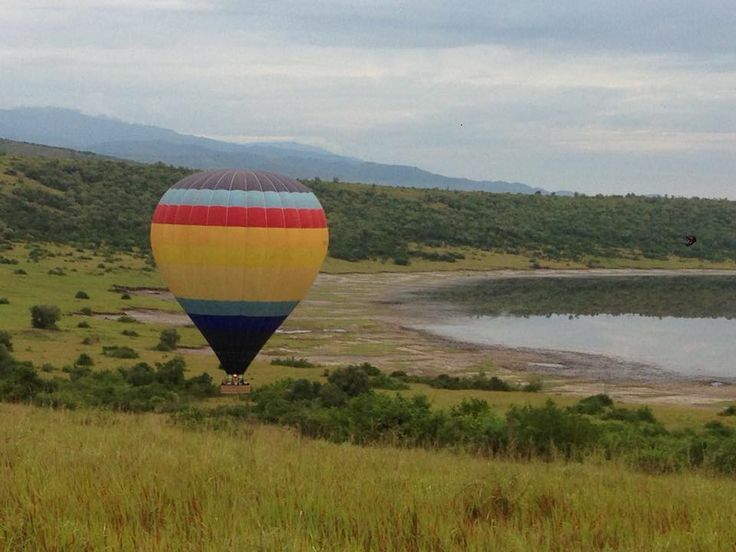 This is what you get when you go for a hot air balloon in Murchison national park. The Hot air balloon is operated by Dream balloons. The company is fully registered and licensed by Uganda Civil aviation authority. The Hot Air Balloon Launch Site which is near Paraa Lodge on the wildlife side of Murchison Falls Park. This tour takes off early in the morning before dawn and by sunrise; the flight is ready to land for you to have a bush breakfast by chefs from Paraa Lodge.